Little Tikes Bright 'n Bold Table & Chairs, Green/Blue Just $39.92 PLUS FREE Shipping! Down From $52! You are here: Home / Great Deals / Amazon Deals / Little Tikes Bright ‘n Bold Table & Chairs, Green/Blue Just $39.92 PLUS FREE Shipping! Down From $52! Little Tikes Bright ‘n Bold Table & Chairs, Green/Blue Just $39.92 PLUS FREE Shipping! Down From $52! Head over to Amazon and get the Little Tikes Bright ‘n Bold Table & Chairs, Green/Blue Just $39.92! Shipping is FREE! 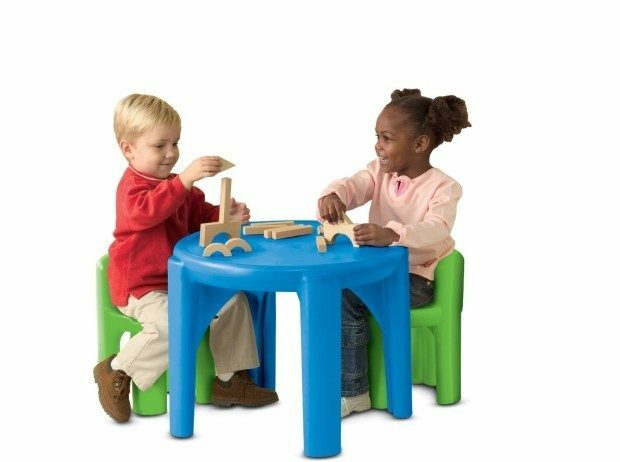 This kids table and chairs set is just the right size for toddlers! This activity table can be used for snacks, building, crafts and learning activities. Perfect for any room!